Our Gentle Giant Blanket Bundles are perfectly conceived for making big, cozy blankets! 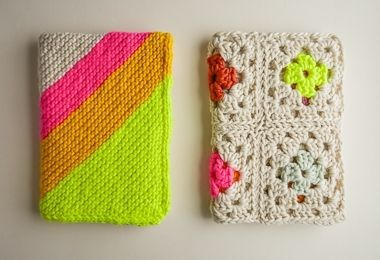 Use them for either our crocheted Granny Square Blanket in Gentle Giant or our knit Colorful Corner Blanket. In our jumbo Gentle Giant, they're quick to finish and wonderful to have around! For the Granny Square Blanket, hook up a 12-color version with our Gentle Giant Blanket Bundle in a Dozen Colors, or choose a more limited palette with our 9-skein Bundles that make an equal-size blanket. 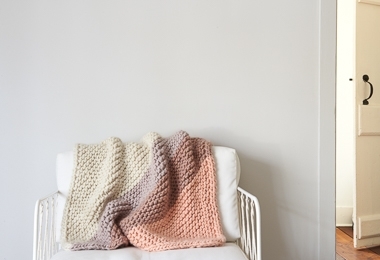 And for the Colorful Corner Blanket, choose any 9-skein Bundle! Please click Product Details, above, for more information. 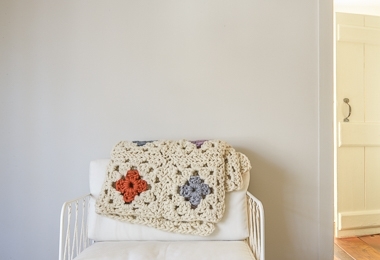 GRANNY SQUARE BLANKET: Each finished Granny Square should measure 10 x 10 inches. If yours is smaller, try a bigger hook; and if yours is bigger, try a smaller one!